Trends Report, June 7, 2009. Families say they'll stay close to home and spend less, but if your kids are almost out of the house and this is your year to go.Trends Report, June 7, 2009. Families say they'll stay close to home and spend less, but if your kids are almost out of the house and this is your year to go. In early spring, FTFc, the consulting division of Family Travel Forum, concluded that despite the economic downturn, several online indicators pointed to a growing interest among families trying to make summer vacation plans. Demand was obviously weak; prices were coming down and marketers' imaginations were working overtime to stimulate consumer interest. By May, it was apparent that price-cutting was having an overall positive effect on short term demand. Then the PhoCusWright Consumer Travel Report confirmed that, for the first time, 25- to 34-year-olds would be spending more per household on vacations than Boomers. Since younger travelers rely more heavily on the Internet than other media for travel research, many self-help travel tools have been developed that redefine the family vacation planning experience for 2009 and beyond. Here are some of our favorite tools and trends with a look at how they came to be. In mid-May, AAA kicked off the summer travel prognostication season with their annual forecast developed with Insight Express, predicting that up to 1.5% more Americans would travel over Memorial Day weekend this year than last. To accompany their sunny outlook and stimulate traffic (especially among younger travelers) to their online booking engine, AAA has made some of its formerly members-only tools available to all Internet users via AAA.com. 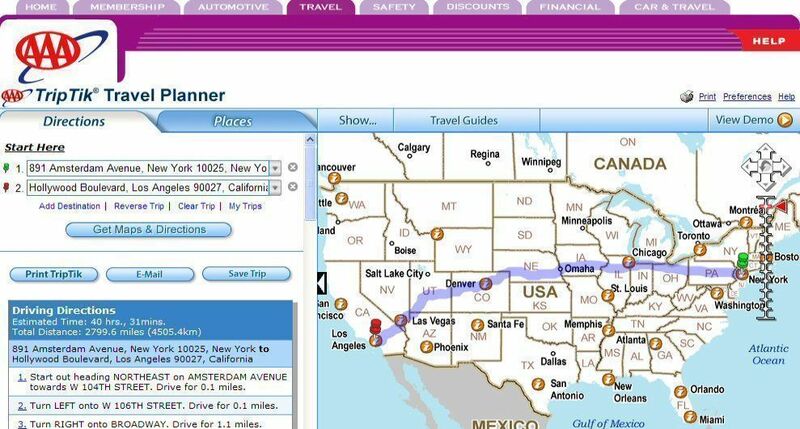 One of our favorite programs is AAA's TripTik Travel Planner, which allows families to map a journey by selecting a starting point and an endpoint, then clicking on “Attractions” to choose stops along the way. Motorists are also able to view historic congestion information for the routes they plan. The TripTik Travel Planner service details more than 125 areas across North America where AAA's record of historical traffic patterns can be used to help families plan the best time to drive, even to the most popular destinations. Other features include tools to create custom maps, a travel guide section, and AAA Diamond quality ratings for more than 58,000 lodgings and restaurants. Parents will also appreciate advance notice of current fuel prices at more than 100,000 U.S. gas stations. * Outer Banks, North Carolina from the Philadelphia to Baltimore corridor. Another no-cost alternative is Traffic.com, which accepts your beginning and endpoint query online, and spits out a report of real time congestion on a variety of appropriate routes. While it seems to work more effectively online, if you’re already en route, you can minimize the kids' smartphone data transfer costs by calling Traffic.com at 866/698-7232, telling their robotic agents your preferred roadway and direction, then listening for the Jam Factor at each leg of the route. Very handy for those who don't want to pay a monthly fee for live traffic reports from their GPS system provider. According to a recent survey from Disney's Family.com, while 82% of families plan to take summer 2009 vacations, 33% have scaled back and are getting more creative on where and how to spend their time and money. Disney's research indicates that 56% are taking shorter trips, 41% are driving versus flying, and 40% are figuring out ways to eat out less often while on vacation. Those add up to good reasons why Disney's family planner community has published tips for a number of local, made-in-the-USA vacations. At their site, Family.go.com, resident travel expert Claire Newell has suggestions for vacations in all price ranges. The site’s travel resource provides a combination of expert reviews, parent recommendations, and age-appropriate points of interest for family-friendly destinations on any budget, with search tools to make trips easy to plan. “Our goal is to help parents plan a great family vacation whether they are going to travel across the world, across the country or across town – even on a budget families can plan fun summer vacations,” said Emily Smith, Vice-President of the Disney Family Group. Another group going after the USA travel market is the U.S. Travel Association, which has a a cooperative agreement with the U.S. Department of Commerce to build and market official travel planning websites targeting the five leading inbound markets to the United States (Canada, Mexico, the United Kingdom, Japan and Germany). Their online resources include information garnered in partnership with all 50 state tourism offices and more than 100 convention and visitors bureaus, all presented in a new site, DiscoverAmerica.com. This one-stop travel planning source features special deals and offers to help foreigners (and of course, US residents) save time and money and get on the road this summer. "We've brought together a wealth of information and made it easy for travelers to find great destinations, activities and deals," said Roger Dow, President and CEO of the U.S. Travel Association, at its launch. According to their spokesperson, the site's 7,000 pages feature official content on all 50 states, the five U.S. territories, more than 100 cities and regional destinations, and more than 3,000 popular trip activities in 24 categories that can be sorted by user interest, time of year, or by geographic region. Speaking of the U.S. Department of Commerce and their role in attracting foreign tourists to the US, this is also the government organization that uses tax dollars to track how many are actually visiting, from which countries, and what they're spending. Travel and tourism represents one of the top services exports for the United States and has produced a travel-trade surplus since 1989. Over the past year, international travel to the US has plummeted in line with the world economy and, at Commerce, international travel to the US is forecasted to decline by 8% in 2009 after what Commerce calls a "record year" in 2008. Their first quarter 2009 report issued June 5th already shows a 14% decline compared with the first quarter of 2008. 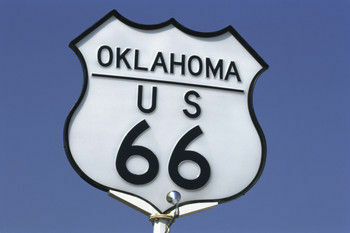 According to Commerce, in 2008, the United States hosted 58 million international visitors. In 2009, 24 of the top 25 arrival markets are estimated to decline; the largest decreases to be from Ireland (-13%), Spain (-12%), and Mexico (-11%) with the United Kingdom, France and Italy each expected to post 10% declines for the year. In the long term, Commerce projects a rebound of 3% growth by the end of 2010, followed by 5% annual increases through 2013. Back in the day, frequent travelers used brand websites to find cheap airfares or exclusive hotel discounts, but during this recession, both budget and luxury travelers have their eyes on the bottom line: what’s this vacation going to cost? YParnership's recent study finds that a majority of travelers (34%) now start their vacation research on search engines, including travel search engines like Kayak, then move to specific destination or brand marketing sites (23%), followed by the major online travel agencies such as Expedia, Travelocity, or Orbitz. To woo consumers away from airline and hotel branded websites, the online travel agencies have eliminated booking fees and hidden charges, and pushed their own vacation packages. In fact, travel vendors everywhere are offering big discounts to those who buy all elements of a vacation at the same time. So this is the summer to buy a vacation package. Airlines are marketing cheap tickets together with the economic development offices of well known destinations to make “air & land” packages. Examples include JetBlue’s popular fare sales to the Bahamas and St. Lucia, whose tourism organizations add hotel and attraction discounts exclusively for the airline’s customers in order to "bundle" a vacation. Individual boutique properties and large hotels are bundling in free nights, free meals, credits to be spent on site, rental cars, daytime adventures, and other complimentary perks to customers happy to pay the standard rate for rooms — and get an organized vacation in return. Vacation shopping tools like FTF's interactive Flee Market map features hundreds of examples. 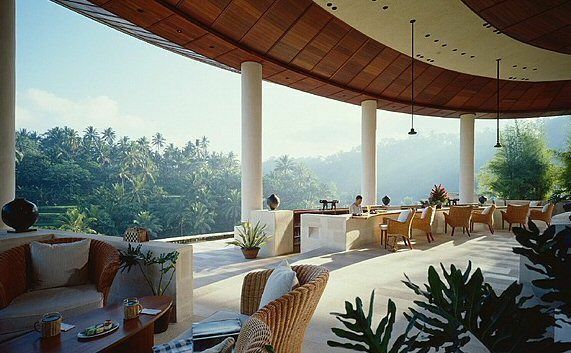 At the high end, resorts like the Four Seasons Resort Bali at Sayan are offering adventures, meals and on-site activities for the price of a discounted room. Once ensconced in luxury in the hills of Bali, Four Seasons guests of all ages can enroll in the “Balinese Farming Experience,” receive a third night free after spending two, and enjoy all sorts of perks. Farming? According to the company, this day-long outing is a learning experience that illuminates the local method of irrigation, gives guests an opportunity to plant rice seeds, enjoy a typical Balinese breakfast and lunch (of rice of course), and follow it up with a batukali or river bathing ritual to can socialize with local farmers. Room rate? US$460 per night. Experience? Priceless. At Hyatt Hotels, which operates 340 hotels and resorts in 44 countries, a hotel room has morphed into a “Classic Family Vacation.” For summer 2009, they are offering a hotel room – true – with experiences such as spa treatments or sessions at their inspired kids camps (for ages 5-12), then adding in perks such as an adjoining room for kids at 50% off, free breakfast and discounts on other hotel services. Rates vary by date and location, and to book, families are urged to call 888/414-9288 from the U.S. or Canada or visit www.classicfamilyvacation.com. “We know that the best values and the highest demand in travel today are in vacation packages,” said Victoria Treyger, chief marketing officer, Travelocity North America. According to the popular online travel agency, travelers save on average $315 when they book the flight, hotel, car rental and activities together versus separately, whether they plan ahead or book last minute. The Travelocity PriceGuardian policy guarantees wary consumers that if they buy a vacation package, and another Travelocity customer later books the same vacation package at a lower price before the trip, Travelocity will automatically refund the difference, up to $500. It's not all about me, my family and our vacation. 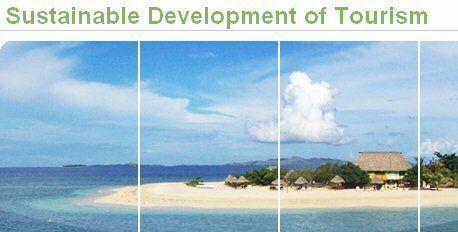 The UN World Tourism Organization reports that its members are committed to encouraging the tourism and travel industry to develop a low carbon model. At their World Business Summit on Climate Change, held in Copenhagen in May, a collaborative study done by the World Economic Forum, UNWTO, the International Civil Aviation Organization, UNEP, and tourism and travel business leaders with Booz & Company put forward proposals for the mitigation of greenhouse gas emission in various sectors such as transport and accommodation. As long as fuel prices remain low enough to encourage drive-to family vacations – and that's the forecast through year's end — the impact of CO2 generated by drivers will outweigh the savings made in other aspects of the travel industry. But that’s a problem families will face after their summer vacation. Next Article Next Article Ski Style: Nordic? Cross Country? Ski Touring?